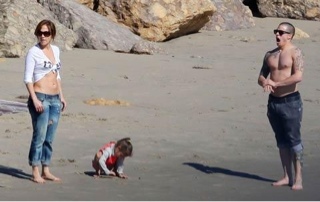 La J.Lo and her boy toy Casper were spotted on the beach in Malibu with her twins, who are most 4 years old. Sources says Jenni would never allow the kids to be with or around Casper if she didn't trust him. Looks like he's riding around and getting it! !